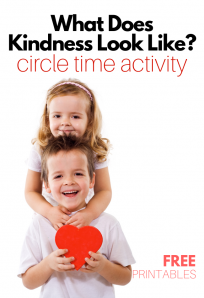 Don’t you just love circle time? I have a very active class this year and circle time has been fun and challenging. 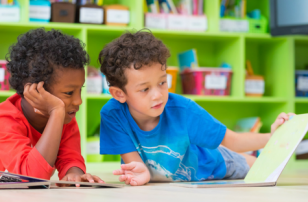 One of the most important things to remember about circle time is that if it’s not working, change it up. 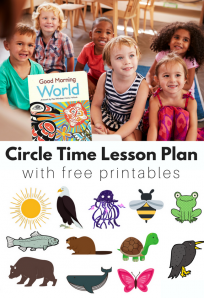 I have great tips for how to save circle time for you here. 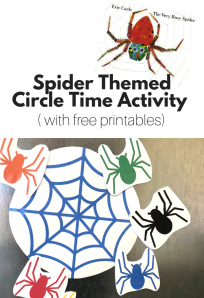 This farm circle time activity is a favorite for my students and works even on more challenging days. 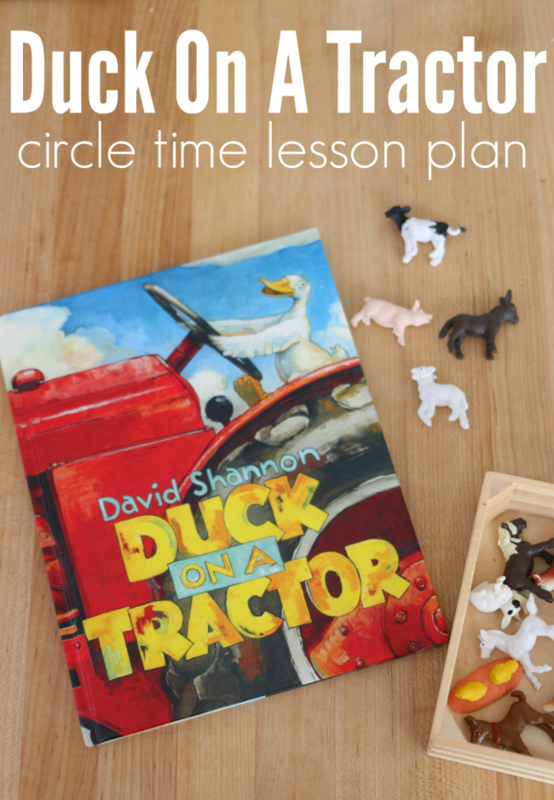 This circle time activity matches perfectly with David Shannon’s Duck on A Tractor. I prefer to use figurines like these Safari Farm Babies for this activity, but you can also use cards like these. 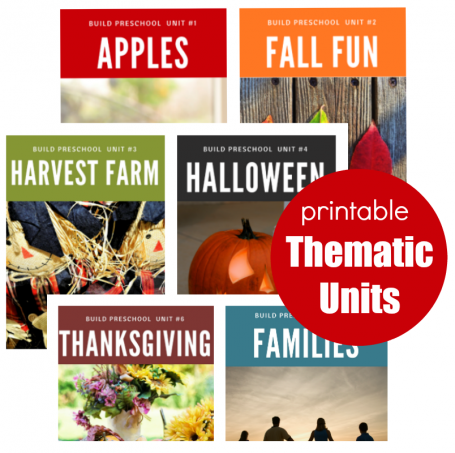 Click here for the free printable cards. You will also need a small bag or basket to pull the cards or figurines from. 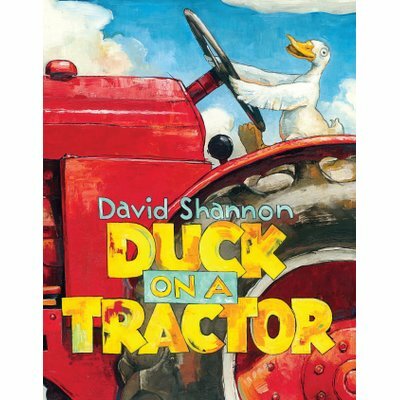 Duck on a Tractor by David Shannon is a delight! If you are familiar with Duck and his adventures on a bike, you will know that this farm animal isn’t confined by his place in life. In this book, he boldly gets on a tractor and starts it and encourages his barnyard friends to jump on too! Younger kids love the silliness, and older children will get the deeper message about not believing things even when you see them. 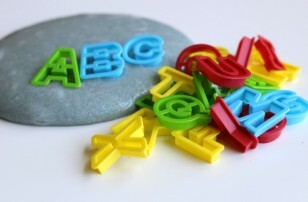 It is a little long for 3-year-olds which is why I have paired it with a fun and simple activity. 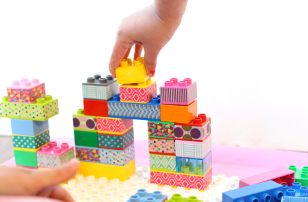 Older preschoolers will be fine with the length. After reading tell the children that you need their help discovering which animals are in your basket but they can only use their ears! Tell them that they must call out the name of the animal when they hear the sound. Tell them to keep their eyes closed until you say open. Ask the students to close their eyes and pull a figurine out of the basket and make the sound the animal makes. When they call out the name, say ” Open up and see what it is!” Then declare what it is. Tractor painting. 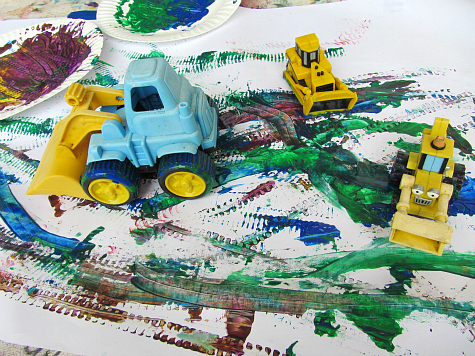 This easy art activity is a kid favorite and a wonderful way to get children who aren’t into art creating with paint. Have you read this hilarious book to your students? Let me know if they liked it in comments or over on No Time For Flash Cards Facebook page! 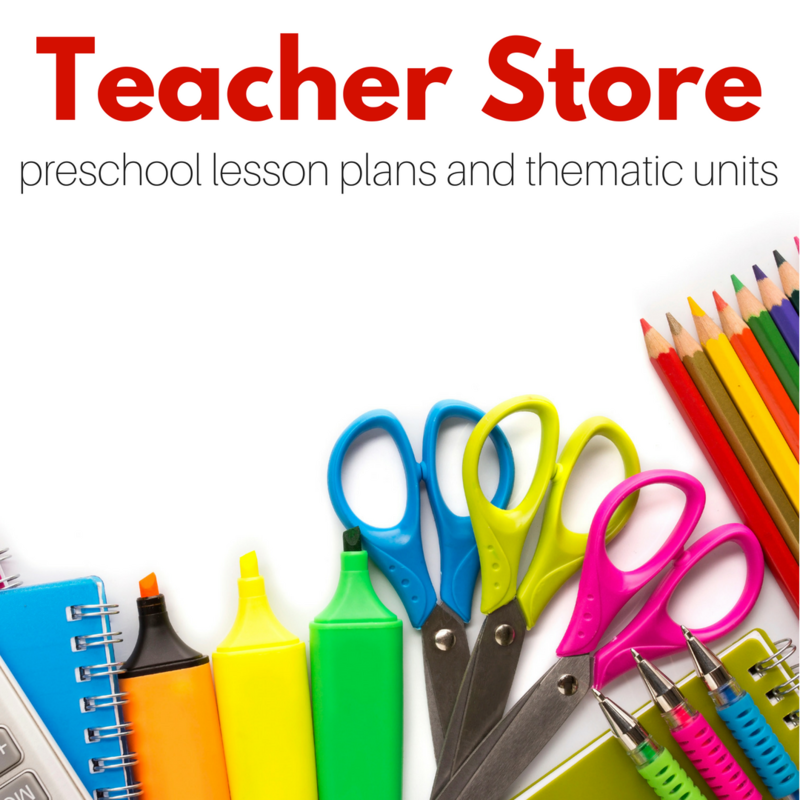 If you like this lesson idea you will love the ideas I share in my printable thematic units – with multiple themes to choose from to fit your curriculum they are perfect for preschool at home or in a classroom. Check them out here and find out how you can save 20%.